Matto Barfuss is an artist, bestselling author, photographer, filmmaker and a devoted conservationist. Since 1995 he has spent more than eight years in the African bush. He became famous as the "cheetah man" because he moved around for months on his hands and knees throughout the Serengeti steppe, accompanying more than three generations of a wild cheetah's family as an accepted family member. 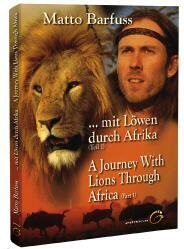 Together with his partner Kerstin Noack, he now spends at least six months a year with wild animals in Africa. He is convinced that, as an artist, he can play a decisive role in the preservation of Africa’s fascinating nature. He is the founder of the non-profit organization "Life for Cheetahs" and the initiative "Education for the Protection of Endangered Species." He has published two schoolbooks for African children and distributed thousands of these books himself at a number of bush schools. With the Matto Barfuss Art & Wildlife Foundation, he has put devoted his entire life’s work to the protection of endangered species. 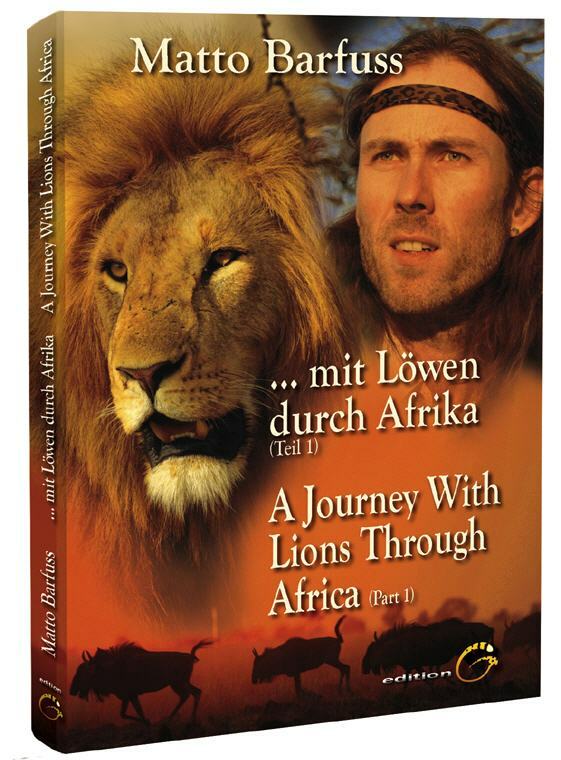 Matto Barfuss - "... mit Löwen durch Afrika, Teil 1"/"A Journey With Lions Through Africa - part 1"
Lions are the kings of the animals, a symbol of power and strength. Lions are mysterious and they’re also endangered. Matto Barfuss, who originally became famous as an artist, bestselling author and the "cheetah man," has been following lions through Africa for over 14 years now. In his work, he tells their stories and shows how the African continent is changing. This illustrated book is a part of an ongoing project consisting of books, calendars, multi-vision shows and films. Matto Barfuss links his work, which leads him through the African bush more than six months of the year, with an unequivocal appeal to stand up for sustainable climate protection and nature conservation. With the proceeds from his latest illustrated book, the author finances wildlife schoolbooks for African children. Since 2002 Matto Barfuss is working on a lon-term study about all the families of mountain-gorillas. 2005 he dared to travel into the East Congo which belongs to the fifth most dangerous countries on the earth. The expedition becomes a mixture between wonderful emotions among the gorillas and thrilling encounters with rebels and warlords. He becomes withness of a grewsome civil war. The book is a lived thriller and is written very exciting. You will have the feeling as you are a part of the story. The book is in German language. We are still looking for licensees in other languages. Don't hesitate to contact us. Multivision-Shows Matto Barfuss is a magnificent narrator who is captivating his audience live on stage with his multivision-shows on big screens with natural sound and great music elements.